Master of Open Water Swimming! How does that title sound? You’ve know the story… the Open Water Swimming season is here and you’re getting ready to compete this morning. As you arrive at the event, there’s a cool mist in the air. As you were driving to the event, you heard the weather report: perfect skies, sunny, and 25 degrees… You couldn’t ask for better weather to compete. You look around at your competitors and then gaze out over the ocean as you slip on your swim cap & goggles. You felt really relaxed and confident as you were driving here. You’ve been training for months and feel like today could be the day you set a new PB (personal best). But then as you’re staring out over the ocean, you start getting that old feeling again…. A feeling of nervousness and butterflies. You start thinking about the distance you have to swim. You begin wondering what the water conditions will be like today. Will the water be smooth… or rough? Perfectly warm … or shockingly cold? Are there any currents? Is it the tide coming in or on the way out? You look around at everyone else getting ready for the swim. It looks like today’s event will be ‘chock a block’ with competitors. You remember your last open water swimming ‘experience’ and start thinking all of the splashing that happens as everyone hits the water at once with that dreaded beach start. There will be so many arms and legs flailing around you… you can’t help but wonder if you’ll get accidently bumped into by another swimmer and survive the first turn buoy. You remember how tired you were after last time. As you were training, you kept telling yourself that this time, things would be different. You trained hard — probably the hardest you ever have. But you never gave a second thought to thinking that open water swimming is that different to pool swimming. …And you suddenly realise that it’s always been that way… as it is in life… what separates the greats from the rest… EXPERIENCE… yikes! …Well I am here to tell you it is not too late. The Open Water Swimming season is here and hotter than ever. Never before has there been so much interest in open water swimming since the 10km Marathon Swim made its debut in the Beijing Olympic Games in August 2008. Let’s turn your ‘love-hate’ relationship of open water around with you becoming a passionate open water swimmer, begging for more than chlorine and that black line. One of the first things to consider would be the difference in open water swimming (OWS) versus the pool where you probably have done most of your training. The big variable in OWS would be the conditions. You would rarely have 1 metre waves nor 50 others swimmers in your swim lane at your squad training or masters club practice. 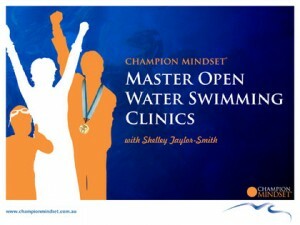 It’s time to Befriend the Swim with ‘Tips for Open Water Swimming Mastery’ by Shelley Taylor-Smith; Open Water Swimming Coach, Master Teacher, 7-time Women’s World Marathon Swimming Champion & FINA Technical Open Water Swimming Committee (TOWSC) member. From last (literally) to 3rd in my age category and 5th overall! Pre-Competition Day: Never practice open water swimming alone. No matter how good a swimmer you are you should never swim alone. Swim with another person or swim at an area with a lifeguard. In addition to safety having another person around can help you with technique. Getting Ready: Wear your goggles underneath your swim cap. This will avoid your goggles being knocked off your head at the start and around the turn buoys. I always raced with 2 swim caps. (First the cap, then the goggles and finally the 2nd swim cap.) Wear bathers or approved skins (blueseventy) that you have worn previously. Avoid wearing a brand new swim suit on competition day. Why? The salt will rub in places you never thought it would. Trust me! Know the Course: Look at the map of the swim or go to the lake, river or ocean itself and figure out which direction you will need to swim and when. Review the Course: take another swimmer and have a light swim from the start to the first turn buoy and look down the course for your marker buoys that will guide you throughout the swim. On Your Marks: Stay Relaxed. Don’t Panic. You’re Not Alone! Also cold water can make you breathe rapidly which may make you feel like you are so nervous your breathing is being impacted. If the water is cold and this happens, relax; your body is adjusting to the water temperature and with time will adjust. Concentrate on breathing deeply, visualise yourself handling each turn buoy calmly and seeing yourself completing the swim with a big grin! This will help you greatly. The Start: Talk to people who have previously done the race (in past years). Pay attention when the waves (groups of swimmers) in front of you go and watch the pattern they are swimming in. Start at the back of the pack and this will be less stressful for you. Which stroke do I swim? : You are allowed to swim more than one stroke. Breaststroke, backstroke, and side stroke can all be used both to give you a rest from freestyle and help you to stay on course. Using breaststroke and backstroke can also help you adjust to the colder water. Rounding the Turn Buoys: no breaststroke please. This helps avoid the person behind being kicked by you in the face or other private parts of the anatomy and you not having the guilts for the rest of the race. 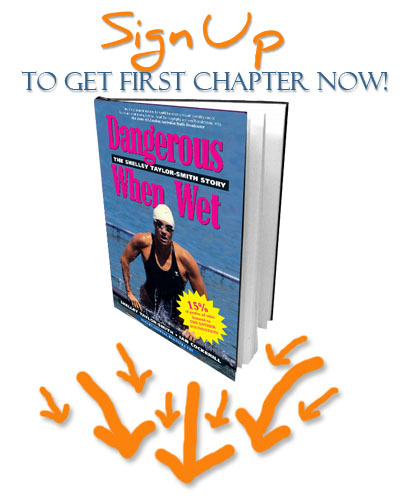 Be prepared for the next wave of swimmers: Don’t swim right on the course as there are more waves to come; especially if the swim is in age groups or time categories. You will most likely end up in collision with a pack of swimmers or with faster swimmers. It is easier just to stay to the side a little and not get run over. Don’t draft/slipstream if you have not practiced the skill or only practiced it a little bit. At least not yet as a beginner. As a beginner if you get to close to someone’s feet, you can end up getting kicked in the face and/or loose your goggles as noted in tip #7. It also doesn’t allow you to enjoy the experience and concentrate on your swimming-your stroke and your pace. Know the Course – Check out the layout of the course. Locate the first and last buoys, wave conditions, swim direction, sun direction, etc. It is often beneficial to site those first buoys from water level so you will know what they will look like when the swim starts. The Start -Don’t start at the front or middle of your wave if you are not a strong swimmer. This is a frequent mistake made. The natural tendency is to start further up so that you have less distance to swim, but it can be quite rough in the front or middle of the pack if you don’t have much experience with open water swimming. You might also swim the first part too fast and get tired. Also don’t start right behind someone try to stagger yourself so you don’t get kicked by their feet when you start. Concentrate on technique or ‘form’ – With all the other swimmers and trying to stay on course this can be tricky and you may only be able to focus on one element of technique to correct which is fine. It gets easier over time though. Learn to breathe on both sides – Known as ‘bilateral breathing’; not only does it split the effort of certain muscle groups by 50%, but it’s good to be able to turn away from the sun while swimming with clear goggles and avoid the waves and wind smashing in from one direction. Slipstreaming – There is no FINA rule for drafting. Think cycling and tuck in behind a competitor or mate that that you know is a slightly faster swimmer and this will reduce your overall effort. If you are close enough to feel the bubbles of their feet you are in a prime position. Just a few points of courtesy, don’t tap their feet and be sure to thank them after the competition. Review the Course – Check for rips and currents when reviewing the course. Taking the fastest route via a ripe may not necessarily be the straight line off of the beach but it will get you to the turn buoy in record time. The Start – Avoid that “centre field” “middle of the pack” position on the beach. Outside start position with a clear line to the first buoy is more advantageous. Slipstreaming – the best position is on the outside preferably behind someone’s feet. Avoid getting boxed in the middle or you will get hammered on both sides. Think horse racing; the worst position is against the fence as you cannot get out. If you cannot get out; stop and duck under and out of the way and go to the back of the pack or onto the outside of the person next to you. Open Water ‘Sighting’ – The key to proper navigation. Lifting your head, too often you will slow down, not enough and you may get off course. A good school of thought would be to ‘sight’ every 5 or 6 strokes. If you have a naturally straight swimming stoke you may go to every 10 strokes. Most swimmers ‘sight’ as exhaling, then lower their eyes back into the water, turn to the side for a normal breath. The key will be to only lift your eyes high enough to see the buoy or other landmark that you are using for sighting. It’s good to practice this move in the pool. Practice the drill in the middle 20metres because the walls at either end can be less forgiving. The Final Sprint – You’ve rounded the last turn buoy and you’re heading back into the beach/finish. This part of the swim is when the previous 90% can not be fair. So far you have been using primarily your upper body muscle group. Now it’s time to bring in the legs and lower body. To help get the blood to move to the lower extremities increase your kick the last 100m of the swim. This will help you get your “running legs” for the finish quicker. Keep swimming until your hand touches the bottom, then you will be able to stand up and run more efficiently out of the water to the finish. I hope that some of these tips will help you with your next open water swim. Certainly practice and experience will help you gain the confidence to perform more effectively in open water swimming. If living in Western Australia; I encourage you to master your open water swimming skills in the Swimming WA Water Corporation Open Water Swimming Series 2010-2011. 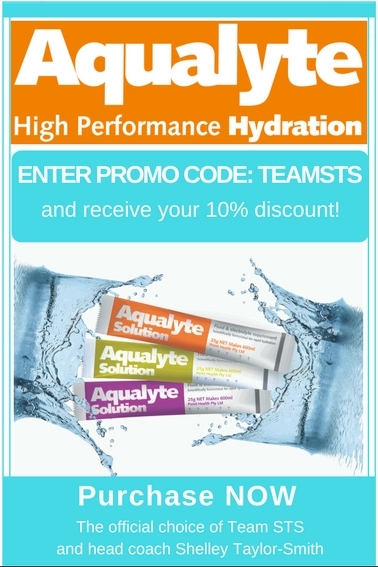 For more info go to: http://www.openwaterswimmingmastery.com/ I look forward to cheering you at the OWS series. and if you find yourself too motivated, just hit delete! I used to panic in the water and didn’t enjoy the swim leg of triathlons… Now I am calm and relaxed!! !